On this page I am going to give you some details about the Australian states. And because the Australian Outback covers more than 70 per cent of Australia, this is as well about the Outback :). The six original Australian states were separate British colonies until they federated in 1901. 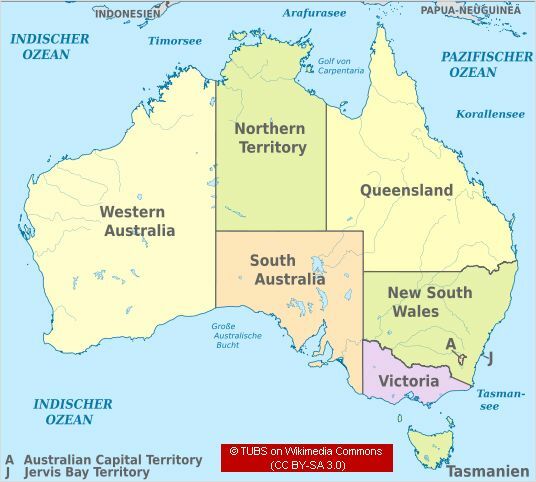 Today, the Commonwealth of Australia consists of 6 states, two major territories on the mainland, and several external territories. The latter are mainly islands in the Indian Ocean and the Southern Sea. Australia also has an Antarctic Territory. For a quick jump to the state you are looking for, click the abbreviation of the state name. New South Wales (NSW) proudly calls itself the premier state, and it really is. It was at Sydney Cove in Port Jackson where European settlement began on 26 January 1788. However, it was Captain Cook who first sighted and named New South Wales in 1770. NSW has the highest population of all Australian states. 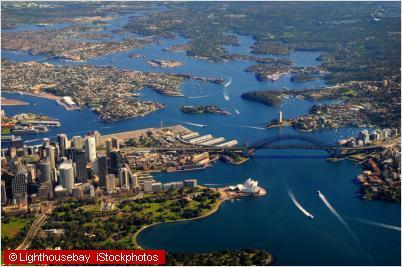 More than 60 % live in the greater Sydney area. West of the small coastal plain follows the Great Dividing Range. Once you've crossed the mountains, you arrive at the vast agricultural plains. Population is getting sparse before you finally reach the arid plains of the north-west. Back of Bourke, the Outback is calling. 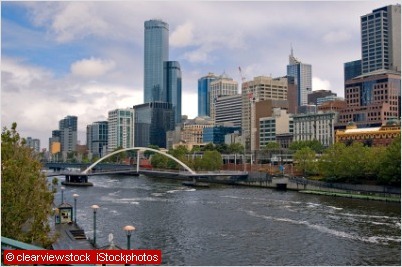 Victoria (VIC) is the smallest state of the mainland, but it is the most densely populated. The Murray River forms Victoria's northern boundary. The Victorian Alps in the south-west are the southern most part of the Great Dividing Range. Although Victoria is not considered an "Outback" state, there are wonderful, and lonely places to explore. Victoria is always worth a visit. With the first Australian gold rush in the 1850s, the Eureka Stockade and the infamous stories of Ned Kelly, Victoria has quite an interesting history. Western Australia covers one third of Australia's mainland. It is the only state in Australia that ranges from north to south through all climate zones. The Kimberley area in the north has monsoonal climate with annual rainfall from 500 to 1500 millimetres. Rain is torrential here, but it only occurs from December to March. The rest of the year is usually dry. The central part of Western Australia has a semi-arid or desert climate. Here you'll find Australia's largest desert areas, the Great Sandy desert and the Great Victoria desert. 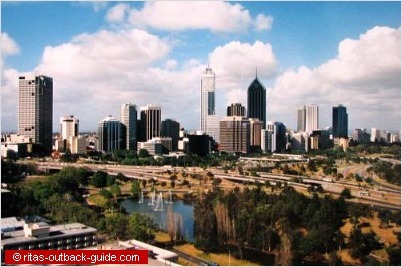 The southwestern coastal area south of Perth has a temperate climate. Summers are warm and dry. Along the south coast, from Albany to Perth, you'll find forests with huge stands of Karry trees. These are one of the tallest tree species in the world. The Northern Territory is the most "Outback" state, in fact, all of the territory is Outback. Unlike other states, the most densely populated areas are not along the coast. Actually, a handful of small towns are lined along the Stuart Hwy, from Darwin to Alice Springs. Apart from Darwin and Alice, there are only three towns of any size: Nhulunbuy, Katherine and Tennant Creek. It is hard to imagine that only 215,000 people live in Australia's 3rd largest state. Indigenous people make up a little over 30 % of the population in the Northern Territory. South Australia (SA) is the only state that didn't start as a convict colony. The colony was proclaimed at the old gum tree by Govenour Hindmarsh in 1836. The intention was to build a centre of civilisation for free immigrants. 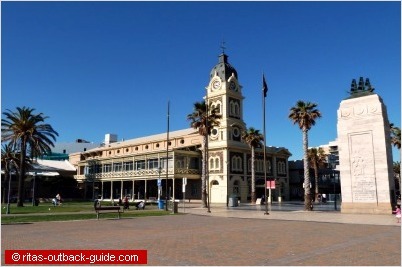 Well, Adelaide is known as the city of churches, and South Australia is the festival state. South Australia is the driest of all Australian states. A lot of Outback is waiting for you. Please check out the Outback South Australia page with links to famous tracks and stunning places. 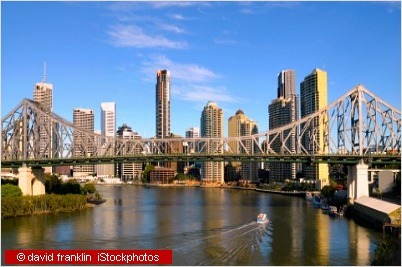 Queensland is Australia's holiday state. 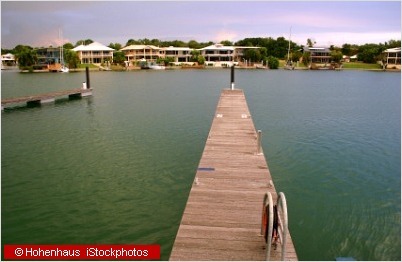 It is well-known for the Barrier Reef and its beautiful beaches and islands along the coast. However, there is also a lot of Outback to explore. When you travel Queensland's Outback, you'll learn a lot about great Outback pioneers and their inventions. The Flying Doctor Service and Qantas, Australia's international airline, are just two examples. Tasmania is an island, and a state, that is located south of Victoria. The Bass Strait separates Tasmania from the mainland. 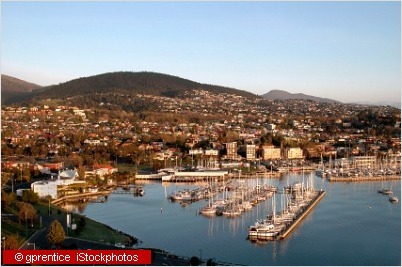 Tasmania is known as the apple isle, although it promotes itself as the Natural State. Rugged mountain ranges are found in the southwest and in the centre of the island. The central east is fairly flat. Tasmania has a temperate climate with snow in the mountains during winter. However, the most populated towns along the north coast rarely get snow. The Australian Capital Territory is an enclave within New South Wales, surrounded by bushland. 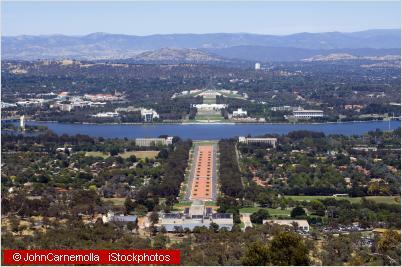 The sole purpose for its existence was an own territory for Australia's capital Canberra. The additional small territory that belongs to the ACT is at Jervis Bay to give the national capital access to the sea. 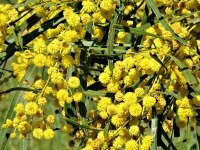 Statistics and facts about Australia are from Wikipedia and the Readers Digest Book of Australian facts. I don't update the numbers on a regular base, they should just give you an impression about the size of Australian states and population density. For even more facts about Australia & stories check the following pages.